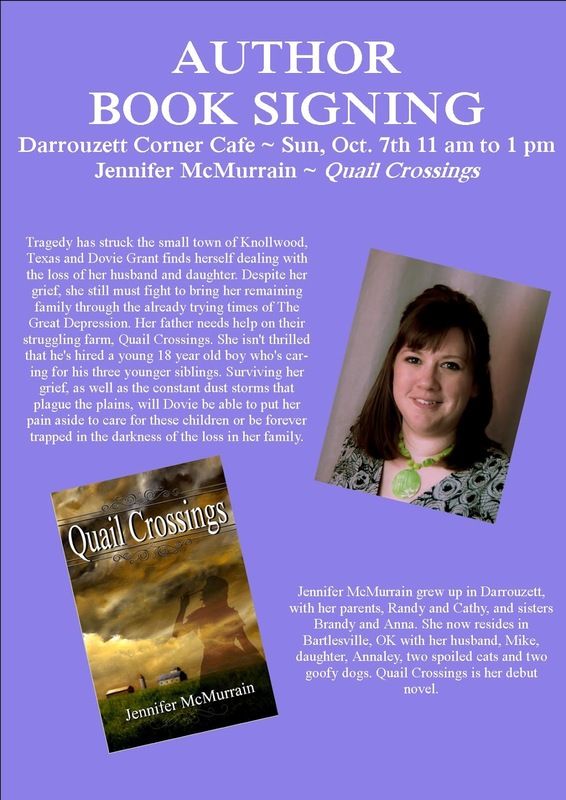 Jennifer McMurrain: Encore Book Signing ~ October 7th!! Encore Book Signing ~ October 7th!! Encore Book Signing ~ One week from today! ~ Darrouzett Corner Cafe ~ Darrouzett, TX ~ Sunday, October 7th 11 am to 1 pm! !